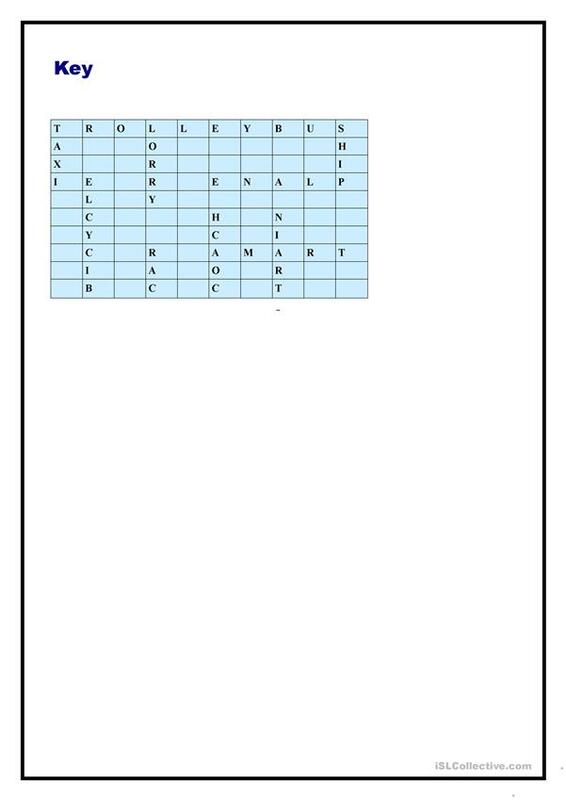 This is a simple worksheet dealing with means of transport. It consists of four different exercises and can be used when you teach or revise the topic 'Means of Transport'. 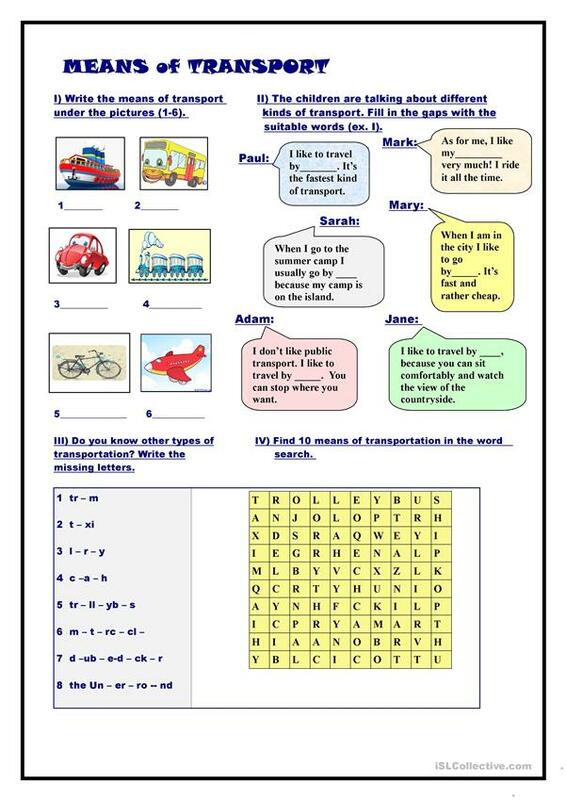 This printable, downloadable handout is intended for high school students, elementary school students and kindergartners and nursery school students at Beginner (pre-A1), Elementary (A1) and Pre-intermediate (A2) level. It is a useful material for practising Present simple tense in English, and is useful for honing your class' Spelling, Reading and Writing skills. It centers around the topic and words of Means of transport, Tourism and Travel.